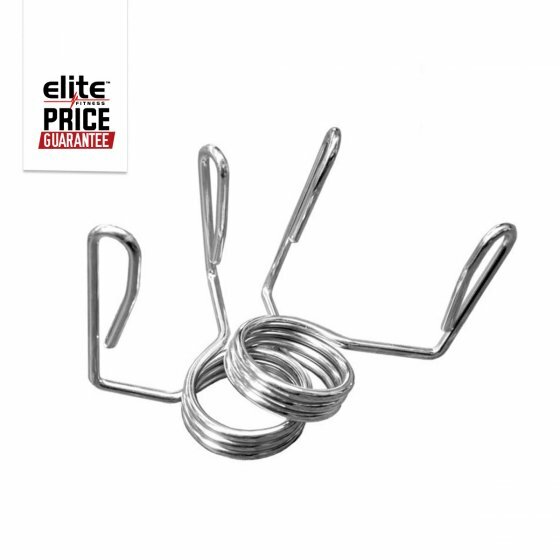 Our Elite Olympic Spring Collars are made from high quality, chrome plated spring steel. They are used as an outside collar on an Olympic Barbell for training and hold the weight plate securely in place. These collars allow users super-fast weight plate changes.